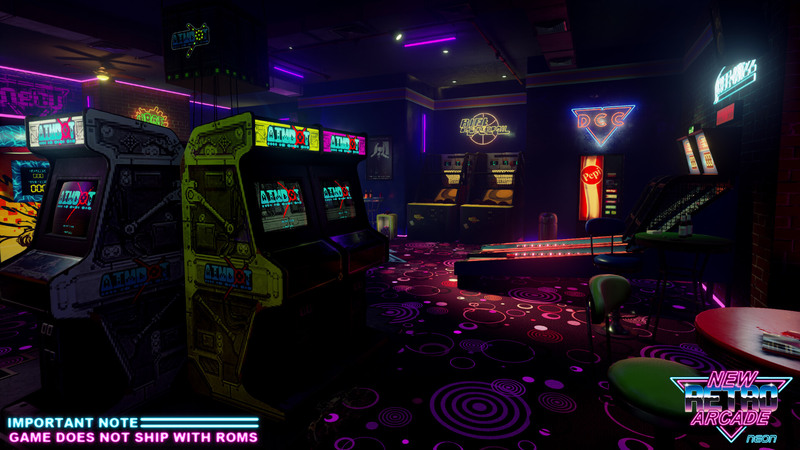 New Retro Arcade: Neon brings the golden age of gaming back to life as you are transported to the 80's and early 90’s; where the fun and laughter began. Download your own ROM's and use our Arcade Builder to create your perfect Retro Arcade frontend. And on top of that, you and your friends have the choice to play more than 10 diverse mini games. Pick up your light guns, joysticks and gamepads and head straight into the all new Aimbot and Zombie Problem II cabinets. Classics games such as Air Hockey, Skeeball, Whack a Mole and One Punch Boxing are also available! There’s a projector room for watching videos on, bowling lanes for a game of ten-pin, basketball machines, darts, playable guitars, drum machines and more! 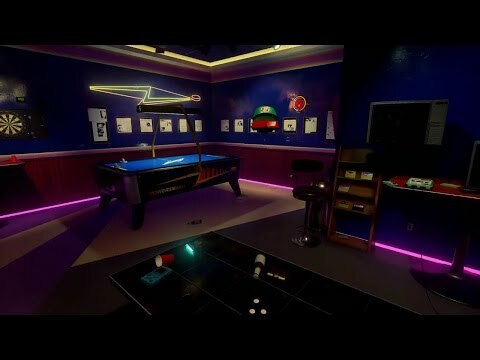 Neon is designed to be FULLY PLAYABLE IN NON-VR, as well as working with each SteamVR device and their controllers! Stand up and take control using 1:1 motion controllers with the HTC Vive, get inside the Rift with an Xbox 360/One gamepad or simply kick back with mouse and keyboard. Build your own Timezone, or Tons of Fun. 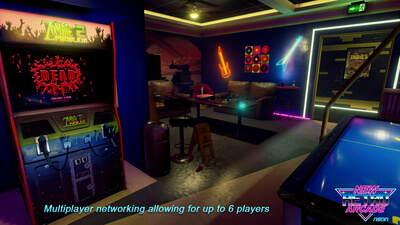 New Retro Arcade: Neon realizes an immensely cool idea but that idea alone requires further refinement to become a must-play. [New Retro Arcade: Neon successfully immerses the player into what is a glimpse of the future in the background of the past. If a few minor hiccups.